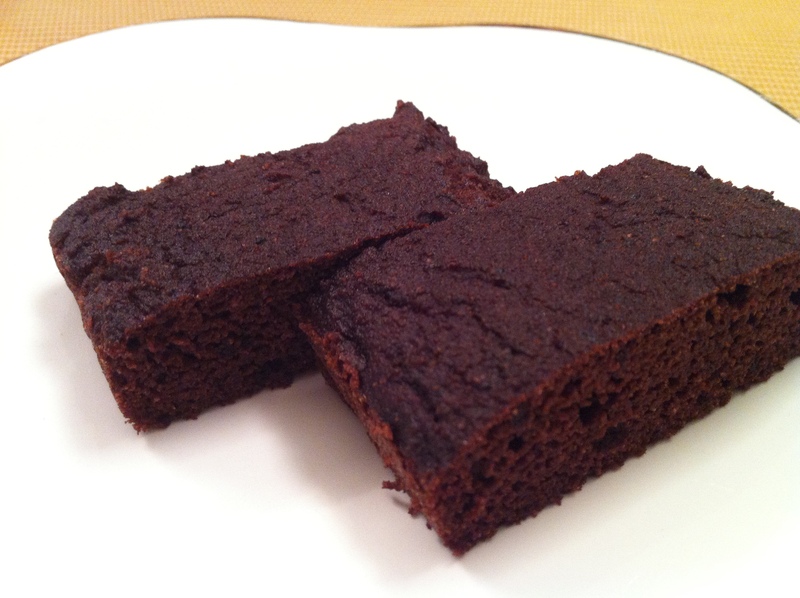 this is a basic nut-free chocolate cake recipe that can be used to make layered cakes or mini cupcakes. i’m trying a lot of nut-free recipes these days since clara’s school doesn’t allow nuts… this makes perfect cupcakes for any birthday celebrations at school. 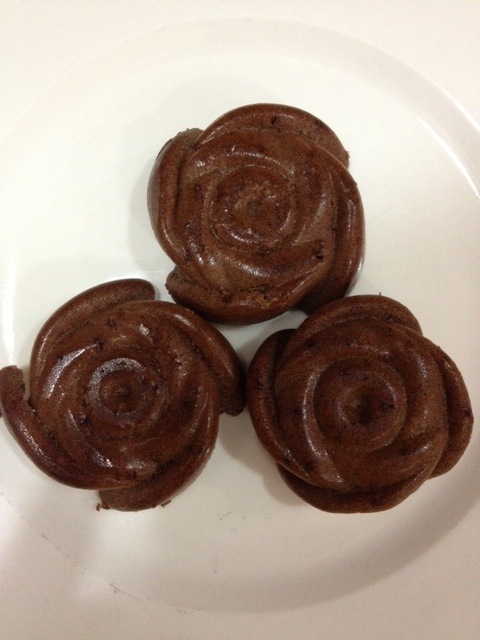 Lolowa sent in this picture of the chocolate cake baked in a flower shaped silicone mold. They look beautiful, Thank you ! this recipe will make two cupcakes (5-6 mini cupcakes). hope that helps. Thanks so much for the delicious recipe. My son just turned 15 yesterday, and he was not at all happy with the idea of cheesecake for a birthday cake. This moist and delicious cupcake was a huge hit with him. It was so easy to make. I made 2 cupcakes, and frosted them with a sugar free buttercream. He LOVED it! I always feel encouraged and happy to hear stories like this. I am so glad that your son enjoyed the cake… happy belated birthday to him! Made this for my daughters birthday as a cupcake. With the extra time in the oven, it came out great! I tested with a tooth pick. The recipe made two full size cupcakes. They tasted great as well. I couldn’t find the davinci syrup so I used extra coconut milk and the consistency was still good – not runny. Thanks so much Tiffany! My daughter really enjoyed the cupcake; she ate the whole thing up! That was definitely a first since being on the diet. I love ketocook.com! Thanks so much for the info; I will be baking it for 25 minutes. I must say that I ate the cooked edges on one of my “failed” earlier cupcakes and it was absolutely delicious. My daughter has never liked any of the nut based muffins/ cupcakes I’ve made her in the past so I really hope she is going to enjoy this one. Thank you again for supporting us on the keto diet. Help! I used half the recipe amounts and put it all into a regular size cupcake foil but it looks very wiggly at the end of baking time, like it’s not done at all. Is this recipe not meant to cook regular cupcakes or should I just increase my baking time? Thanks for any advice! My daughter’s birthday is next week and I’m trying to make a special cupcake for her celebration. Good thing you tried it before the birthday. If you are baking a regular size cupcake, you will need to increase the baking time. try 20-23 minutes. Make sure the oven in preheated to 325. But all ovens are different, so 350 for 20 minutes might work too. Try inserting a wooden toothpick to check. I hope you will be able to make the cake for your daughter! I have to make a regular size cupcake for Clara tonight for a birthday celebration at school tomorrow, so i’ll check on the time and let you know. I baked the chocolate cupcake, regular size for 25 minutes. i mound the batter a little high in the middle (to make a little dome) before baking since i wasn’t sure how the shape will turn out. this made the cupcake shape perfect. I hope it works for you too. Could I bake this in the cake pop maker? If yes, what time would you recommend? i haven’t tried it on a cake pop machine, but i would try baking for 4 minutes and check by using a wooden toothpick. this cake is very fluffy and moist, so i am not sure if it will be good as a cake pop since it probably is not dense enough to stay on a stick for a long time. if you are serving right away, or if you store it laying down, it might be ok. but please let me know if you end up trying it… i would love to know how they turn out. here is a cake pop recipe i have used in the past that worked for me. Other question: what truvia you used? I have the 1 g bag for tea or coffee and i think it’s too much if i use 13 bags . i use the Truvia that comes in a big container, not a packet but I think they are the same thing. Please measure them before using. As with any baked goods, it does need a lot of sweetener. When i first started baking, i was shocked at how much sugar goes in everything. =) If you want, you can try reducing the amount and see how you like it. then slowly increase until you are comfortable with the sweetness. But remember, you probably won’t be serving this whole batch at once. I usually serve 1/8 of the batch in one serving. i hope this helps! I went to the market today and looked at the Truvia packets they sell. The only kind i could find had 3.5g in each packet. Just to be sure, you should always measure your ingredients before baking. I hope your cake turned out well! My girls dosen’t like any nut based recipe so they like this cupcake and ask to have it everyday. I wish i could post the picture. Thank you very much fir your perfect recipes. I don’t have davinci syrup in my country how can i replace . Can i use sugree free choco pancake syrup or any other suggestion!!! Thanks again for all hard work. davinci syrup is in liquid form, so you can try increasing the coconut milk (or melted butter if you need higher ratio) and adding a little more unsweetened chocolate powder & Truvia for the flavor intensity. if you have sugar free choco pancake syrup, that will be a good substitute too. the cake is quite moist so it might still work if you decide to just leave it out altogether and keeping everything else the same, but the cake will be more dense. I’m from Qatar. I use suger free choco pancake syrup. And it turn well. So glad you found a recipe that works for you!